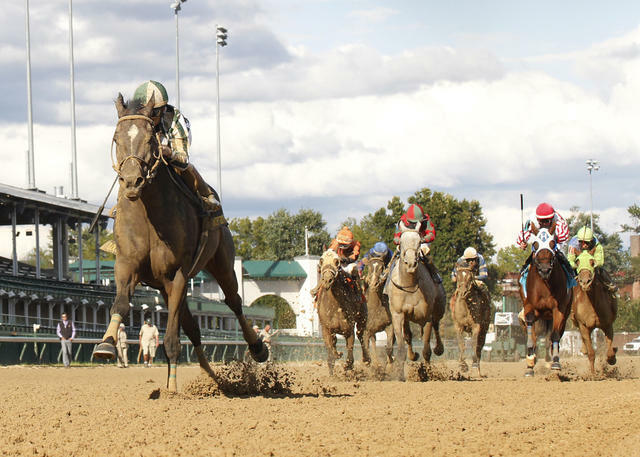 Coming off of a runner-up effort in the Delaware Handicap (Grade I) at Delaware Park behind Sheer Drama, G. Watts Humphrey Jr.’s Frivolous came from off the pace to impressively win the 32nd running of the $100,000 Locust Grove Stakes by eight lengths on Saturday at Churchill Downs. Frivolous, a 5-year-old daughter of Empire Maker out of the Belong to Me mare Sixty Rockets, ran the 1 1/16 miles in 1:43.85 over a fast track to capture her third stakes victory. 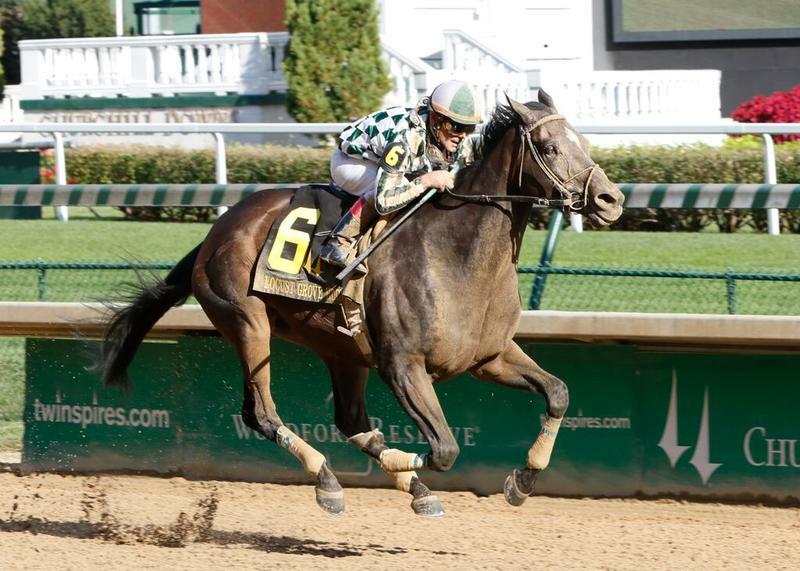 Her other two stakes triumphs, the Falls City Handicap (GII) and the Fleur de Lis Handicap (GII) also were run at Churchill Downs, and she improved her record beneath the Twin Spires to 7-3-0-2. Jon Court, the pilot in her other two stakes triumphs, rode the winner for trainer Vicki Oliver, who trains the 5-year-old mare for her father, G. Watts Humphrey Jr.
Privet Hedge set a slow pace going :24.01 for the opening quarter-mile, with Cabana sitting a length behind the pacesetter and Diva’s Diamond 1½ lengths off the lead in third. She continued to lead by a half-length after a half-mile in :47.86 with Cabana inching her way closer to the lead. With three-quarters of a mile to run, Cabana took control while Privet Hedge dropped back to third. Frivolous began gaining ground around the far turn and asserted herself to the front as the field approached the top of the stretch. It was all over from there. Frivolous, who banked $58,900 and improved her record to 22-5-4-3—$665,718, paid $4.60, $3 and $3 as the 6-5 favorite. Flashy American was a late-running second and returned $6.60 and $4.60, finishing a half-length in front of Diva’s Diamond who ran third and paid $5.80. Cabana, Henney Jenney, Pearl Turn, Ambusher, Unbirdledexplosion, Legacy and Privet Hedge completed the order of finish. Frivolous, who finished third in last year’s Locust Grove, kicked off her 2015 campaign in an allowance race at Keeneland finishing a disappointing sixth as the 6-5 favorite. She then was a well-beaten ninth in the La Troienne (GI) at Churchill Downs before scoring a 32-1 upset in the Fleur de Lis over Sheer Drama, who would then turn the tables on her in the Delaware Handicap. JON COURT, jockey of FRIVOLOUS (winner): “She got shuffled back on the first turn, and we just had to abide the spot that was given to us which was the back and then I abided my time. There was really nothing else to do except sit and wait and execute the finish. “I got off to a good start (at the September Meet). Hopefully I can keep the ammunition going and continue to be competitive and create some momentum right into the Keeneland meet.